Recently， I was invited by a number of property investors from Hong Kong and Singapore. Most of them bought properties in Tangjung Bungah, Pulau Tikus and Batu Feringgi Areas. Penang property value is comparatively cheaper to Hong Kong and Singapore. The reason why they choose Penang, is simply due to Penang island scenery is seaview and comfort life style but with sufficient and relax daily living hood pattern. The dragon vein of Penang island is running North -South Axis. You can see it very clearly in the picture above as the dragon vein is running in the middle. I would to draw your attention to a few high-end property especially located at Tanjung Bunga, Pulau Tikus and Batu Feringgi. 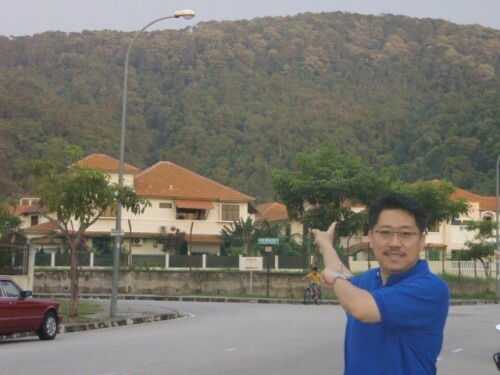 Stay Tuned！ More informative Penang Feng Shui articles will be coming soon….